Walter Buckingham, age 60 of Cameo, Saskatchewan passed away peacefully at the hospital in Shellbrook Saskatchewan, July 28 2018. Walter was born June 28, 1958 and grew up in Cameo as the third son to Pat and Ervin Buckingham, his brothers were Rod, Jim and David Buckingham. 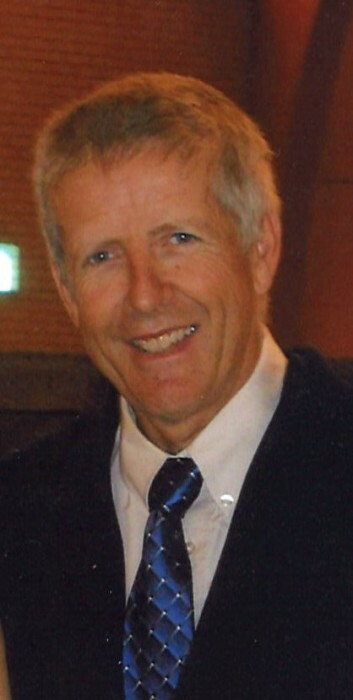 He graduated from Shellbrook high school in 1976. After graduating he tried a few different jobs before settling into a 30-year career in the automotive delivery industry in Saskatoon. Walter settled down on the family farm shortly after he married the love of his life Gail and together they raised their four beautiful children, Amy, Lisa, Maria and Mark. Walter couldn’t have been more proud to be a part of the Cameo community. Some of his greatest memories were playing ball with Cameo and Tippy Canoe, and hockey with the Cameo Crusaders, among other teams. Through this time, he gained the nicknames Walt, Buck, slim, sticks, lemon, or Sandy. Later he enjoyed coaching his children in a variety of sports but mostly fastball. He also loved farming and gardening. Walter’s faith kept him strong through his whole fight with cancer. He always knew that God would carry him through all of his battles and he would come out stronger on the other side. Walter will always be remembered for his many virtues, he was the most faithful, loving, kind, thoughtful, protective, loyal, wise, patient, humble and humorous man. Walter is lovingly survived by his wife, Gail Buckingham of Cameo District, SK; his children, Amy (T.J.) Menahan of Minot, ND and their children, Declan, Brielle and Sadie; Lisa (Scott) Linnell of Kindersley, SK and their son, Liam; Maria (Nick) Hudye of Prince Albert, SK; and Mark Buckingham (Lauren Illingworth) of Warman, SK and children, Madalynn, Juliette, Temperance and Tali; his father, Thomas Ervin Buckingham of Shellbrook, SK; his siblings, Rodney (Marilyn) Buckingham of Fort Qu’Apelle, SK; Jim (Kathy) Buckingham of Cameo District, SK; David (Karen) Buckingham of Borden, SK; his in-laws, Gilles Blouin of Penticton, B.C. ; Bonnie Lamontagne of Red Deer, AB; Marian (Hal) Shynkaruk of Shell Lake, SK; Barry (Leanne) Fusick of Cameo District, SK; Joanne (Wade) Stewart of Shellbrook, SK; Dwayne Fusick of Cameo District, SK; Monica (Ken) Leonardis of High Prairie, AB; Mark (Patty Schmalz) Fusick of Shellbrook, SK; as well as numerous nieces, nephews and other relatives and many friends. Walter was predeceased by, his mother, Alice Patricia Buckingham; and an infant sister at birth; his parents-in-law, Victor and Raymonde Fusick; his niece, Colette McMullen and his brother-in-law, Réal Lamontagne; his paternal grandparents, Walter and Esther Buckingham; and his maternal grandparents, Alexander and Ruth Christine Douglas. The Memorial Service will take place on Friday, August 3, 2018 at 2:00 p.m. at St. Agatha’s RC Church in Shellbrook with Father Tru Le as Celebrant. In lieu of tributes, memorial donations may be made in memory of Walter to either the Shellbrook Minor Sports / Softball Box 1114 Shellbrook, SK S0J 2E0 or to the Shellbrook & Districts Health Services Foundation / Palliative Care Unit. Family and friends wishing to send online condolences are welcome to visit www.beaulacfuneralhome.com Arrangements have been entrusted to the care of Beau “Lac” Funeral Home, Tammy Smart, Director (Shellbrook 306-747-2828).